Constricted ear is also known as lop ear or cup ear. It refers to a variety of ear deformities where the helical rim is either folded over, wrinkled or tight. The cause for constricted ear may be shortage of skin or cartilage, or both. The correction of this deformity can be surgical or non-surgical. The nonsurgical ear molding is done for new-borns, while their ear cartilage is still soft. If this is started early enough, surgery can be avoided in the future. 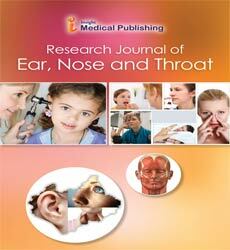 In this paper, we have included a 20 year old female, who presented to us with congenital constricted ear deformity. She had not undergone any ear molding procedure during infancy. Congenital ear deformities may range from mild to severe deformities. The mild deformities include duplicate earlobes or earlobes with clefts or skin tags, and the severe deformity includes microtia. The term “constricted ear” was coined by Tanzer, to minimize the confusion of a multitude of descriptive terms, such as “lop ear” or “cup ear” etc. Cosman in 1978 defined the defect as a lidding or lid like turning down of the helix and compression or narrowing of the scapha and fossa triangularis.